I'm getting the wrong password message when entering the server with the common practice password. The new track version seems to be working fine though, 30 pits and no "server contains unavailable content" message for me. Might still give you a checksum error after it's loaded though. I've put a password on and sent MJ some files so he can test it and confirm the files needed. This is all a bit new to me and the tracks aren't 100% AC compliant so don't work properly with AcServerManager. I've cobbled something that's worked for me but I was hoping MJ would prove it. I'll take the password off but you will probably still get errors. It shows - ks_zandvoort\ks_zandvoort_osrw on server side. My dir says ks_zandvoort\zandvoort_osrw. maybe it did not merge correct? That naming difference is one of the things that's changed with different versions of the osrw tracks. I think the one on the server is an older version. It'll be tomorrow morning now before I can get a decent window of time time play. Eck's pointed me in the direction of further instructions to go read so I'll attempt to get the newer one working. Server is now running V1.7 of the OSRW Zanvoort Circuit with 32 pit boxes. You will have to download and install the track in order to be able to connect with the server and thus race on Wednesday. All working well here, now I can watch my name edge farther and farther down the list as "everyone", tries it. Very good lesson, thanks Mark! 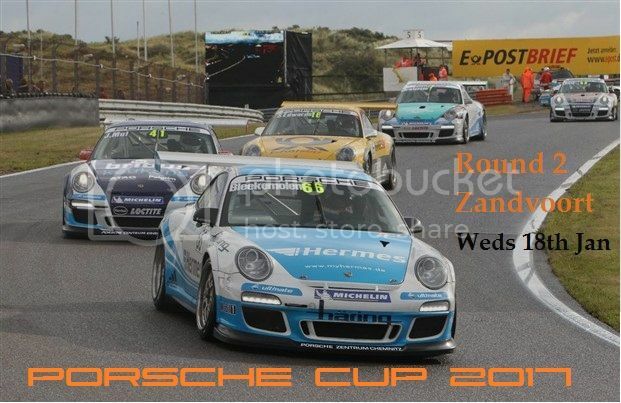 But as we can see- Zandvoort is not laserscan in AC and much more bumpy , our Porsche's needs softer exclusive dampers! Working here - I want some of Alexy's exclusinve dampers though as he's still a second quicker than me here! Page created in 0.088 seconds with 69 queries.